Updated Thursday April 4, 2019 by Carolyn O'Leary. Join the Buddy Nation! 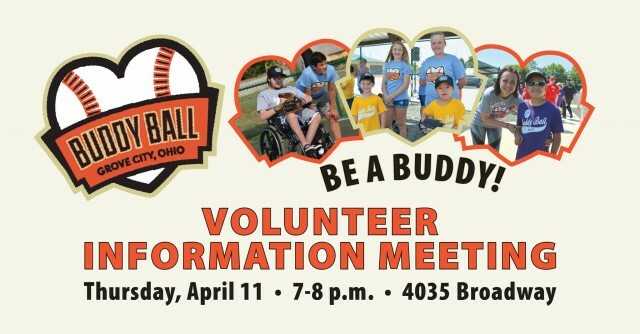 Join us for a Grove City Buddy Ball Volunteer Information Meeting, Thursday, April 11, 7-8 p.m. in City Hall, 4035 Broadway. Download the Volunteer Information Meeting flier at http://bit.ly/gcBBVol for additional information.